Friends of the Dunes is dedicated to conserving the natural diversity of coastal environments in Humboldt County, California, through community supported education and stewardship programs. Provide community education that fosters understanding and appreciation and inspires conservation. Build community-based restoration programs that serve to maintain and enhance the natural diversity of coastal environments. Conserve strategically located coastal properties through conservation easements and land acquisition to ensure that land use is consistent with the ecological values of native coastal dune systems. Develop an effective and efficient organization capable of conserving coastal environments in perpetuity. 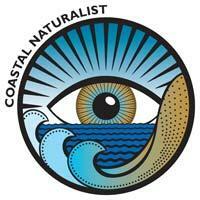 The Coastal Naturalist Training is a 6 week course that will introduce you to wonders of our local ecology and engage you in stewardship of California’s natural communities. The course will combine a junior college level introductory science course curriculum with classroom and field experiences, guest lecturers, and project based learning to immerse you in the natural world of the Humboldt Bay region and coastal dune ecosystem. Guest lecturers and field instructors include professors, geologists, botanists, biologists, long-time naturalists and other local experts. Upon completing certification requirements, participants are eligible for four academic credits through UC Davis Extension for an additional nominal fee. The course is for community members interested in expanding their knowledge of the coast, as well as students, teachers, naturalists, and environmental educators seeking professional development. While you may take the course strictly for your own enjoyment, the course will also prepare you to become an active volunteer with Friends of the Dunes or other environmental organizations. Participants should be able to hike several miles in soft sand while carrying their own supplies (field notebook, water, lunch and snacks). We will be traveling at an easy pace, but will be in the field for up to 5 hours per field trip. Instructor: Jennifer Ortega has a variety of environmental education experience including time as a middle school science teacher, an education ranger for Redwood National & State Parks, and coordinator of education programs at Humboldt State University's Natural History Museum. Currently she is a faculty member at Humboldt State University teaching Environmental Education and Interpretation. Jennifer is a Master Certified Environmental Educator and Project Learning Tree, WET and WILD facilitator. Her favorite place to be is in the outdoors with family and friends.